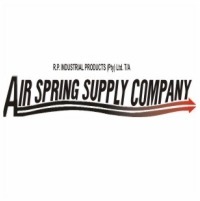 RP Industrial Products supplies and installs Air Springs and Air Spring products for the Southern African Commercial Vehicle, Leisure Vehicle and Industrial Sectors. We are leaders in Air Spring applications with more than 25 Years of Experience.We supply Air Spring products to the Southern African region. Our range includes Air Springs for the commercial truck, trailer and bus industry as well as to the 4×4 leisure vehicle industry. Additionally our Air Springs are utilised as suspension and maintenance free pneumatic cylinders for custom designed industrial needs.